Drugs can interfere with hepatic lipid processing, causing intracellular accumulation of lipids in hepatocytes, a process called steatosis. Drug-induced steatosis is often reversible, however prolonged exposure to certain drugs can evolve into nonalcoholic steatohepatitis, fibrosis and eventually cirrhosis1. 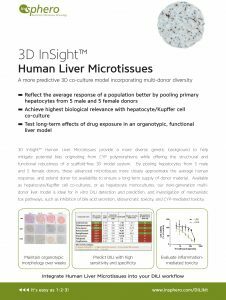 3D InSight™ Human Liver Microtissues are inducible for steatosis, making it possible to evaluate the risk of liver damage associated with steatogenic drugs. 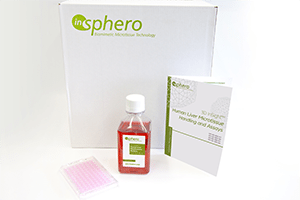 Tetracycline induces strong accumulation of intracellular lipids in hepatocytes. 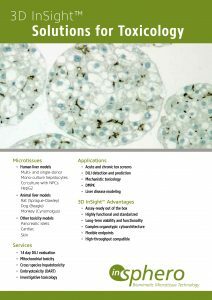 Primary human hepatocytes were used to assess the susceptibility of the 3D InSight™ microtissues to tetracycline-induced steatosis in presence of oleic acid. 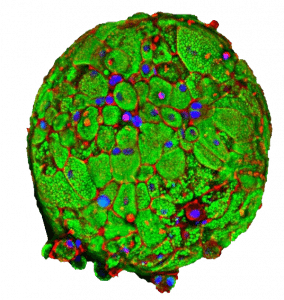 Confocal microscopy images were taken, with lipids stained green with Nile Red, and nuclei stained blue with DAPI. 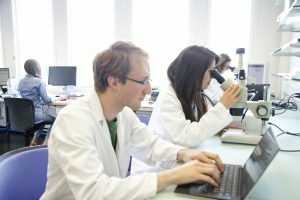 Tetracycline-treatment in addition to the oleic acid induced higher accumulation of the lipids in hepatocytes as compared to oleic acid alone.